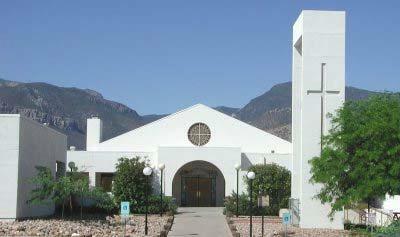 Welcome to the web page for Our Lady of the Mountains Parish. I hope that this site will be useful to all who visit it. It has come to my attention that a text/email scam has been going around the country using parish priests’ names to ask for gift cards for persons with cancer or other situations. This is a SCAM. No priest will ever ask for gift cards for anyone. If you get one of these texts, ignore it and delete it. April 22 – Easter Monday: Day of Rest. No mass today, parish offices are closed. Each year, at this time, we are encouraged to consider the needs of our Church and of the Diocese as one family in Christ. The Ministries supported by the Annual Catholic Appeal are a great help to our parish as well as other parishes throughout southern Arizona. One major way the Appeal helps is through the education of seminarians. This last year we were able to see first hand the fruits of the Appeal at the ordination to the priesthood of Fr. Tom Quirk. Our gifts to the appeal helped pay for his preparation for the priesthood. The ACA also helps with the education of Deacons and Lay Ministers who will serve in our parishes. It is easy to give to the Appeal. You can click on the Appeal Logo on the left side of this page to give online or you can text ACA to 41444 or use one of the envelopes in the church. Currently we are at 84% of the way to our goal. Please make your gift or pledge soon! If you haven’t ever given online, now is a good time to start. Online giving is helpful for both the parish, since it saves our money counter volunteers time and saves us the expense of printing and mailing envelopes, as well as for you, the donor, since it saves the time used for weekly check writing. If you would like to sign up, please click on the “Online Giving” icon on the right side of this page. Don’t forget to make your donation to CTSO so that you can receive the state tax credit. I made mine to the maximum amount I can give. This is a win-win situations as we get our money back as state tax credits and the students get scholarships. Please remember to check the box for All Saints Catholic School. See the link on the side of the page to make your donation. Registrations are open for the 2019-20 School year. Now is the time to register your child from pre-school through grade 8. If you have not yet registered your child, give the school office a call at 378-7012 or stop by during school hours. We have been updating our parish Facebook page frequently. You can take a look by clicking on the link on the left side of the page. The Equestrian Order of the Holy Sepulchre of Jerusalem is a Catholic order that works for good of the Christian Community in the Holy Land by prayer, pilgrimage and financial support. From time to time it will sponsor pilgrimages to the Holy Land. I will try to make these known here.